Removable air reservoir with integral manometer (air pressure gauge). 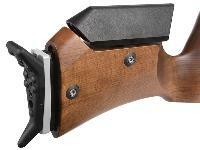 Adjustable hand rest can be positioned further forward or backward to suit your shooting needs. 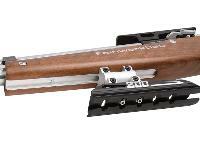 Special scope rail accepts 11mm mounts. 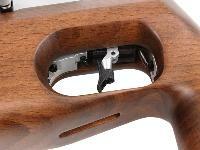 Bolt-action (flipper) opens the breech so you can load a pellet. 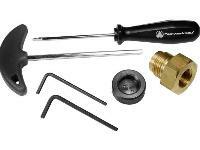 Adjust comb or buttpad quickly and easily with just a few turns of a hex screw. 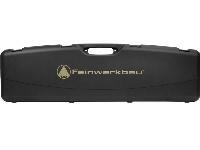 Includes FWB-branded hard case with foam interior, 4 latches, 2 padlock holes and 4 feet so the case can stand up. 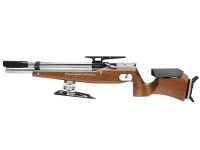 For the finest field target rifle, who else can do it better than a company that makes winning Olympic target rifles? 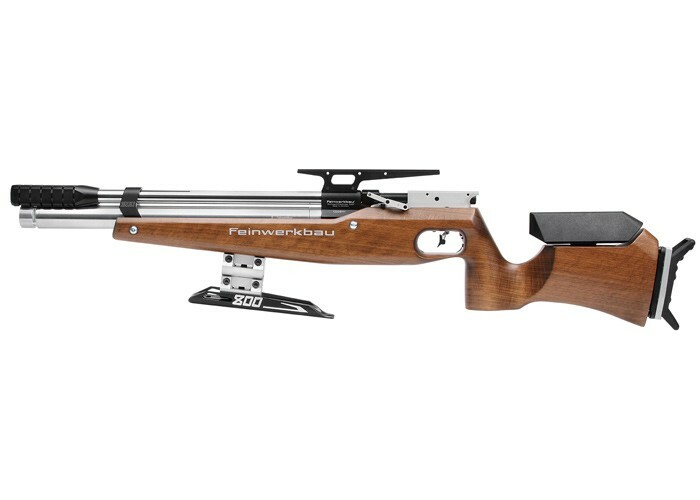 FWB knows the meaning of extreme precision and accuracy, and they translated that Olympic accuracy to this field target rifle. 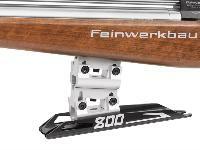 No matter how well you shoot, you'll never outgrow the accuracy potential of the FWB 800 Basic Field Target air rifle. 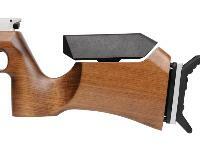 It has adjustments that lets the gun mold to your shooting needs. No compromises! If you missed, it's not the gun's fault. 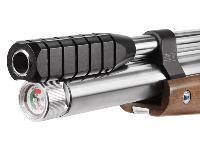 Do your part, and this air gun delivers trophy-winning accuracy. 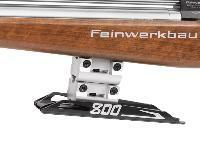 Besides the obvious accuracy carried over from their Olympic rifles, Feinwerkbau's manufacturing has no equal. 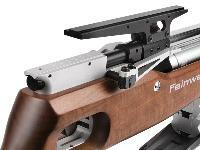 The flawless stock work and expertly machined metal gives you endless pleasure every time you pick up your air rifle. While it's cliche to say it oozes quality -- we have to say it anyway. Everything is fitted perfectly and everything works perfectly. There's nothing you have to fix, nothing you have to repair, nothing you have to tune -- nothing you have to complain about. 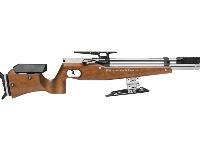 It's a perfect shooting machine. 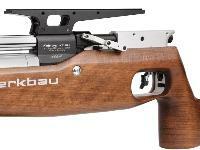 Does this gun have a regulator? 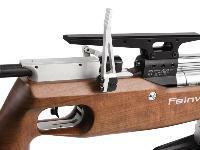 Is the scope mount available separately? 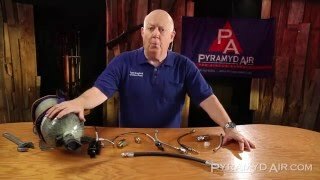 Can the power be increased to close to 20fpe? 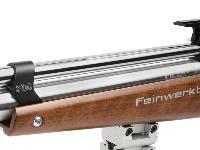 Is a longer barrel required? The manual doesn't include instructions for velocity adjustment.